Prior to this summer, Merson had played more than seven million hands on the computer over the years, but still wallowed in obscurity among the poker community. 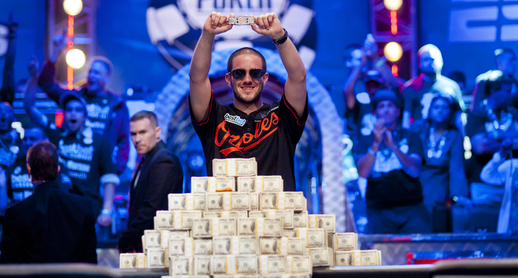 Thanks to the WSOP final table this week, he became a poker legend and one of the game’s most recognizable faces. His main event journey wasn’t as smooth. Gregg was about as happy as Merson when the final river card hit the felt. Merson grinded down his opponents for the most part, but did receive a huge gift from sixth-place finisher Andras Koroknai. The Hungarian was playing solid, until blowing up and sending his 40-million chip stack to Merson on Monday.